Radrodro Tabualevu says the Vodafone Flying Fijians need $5 million to prepare for the 2015 Rugby World Cup which starts in September. 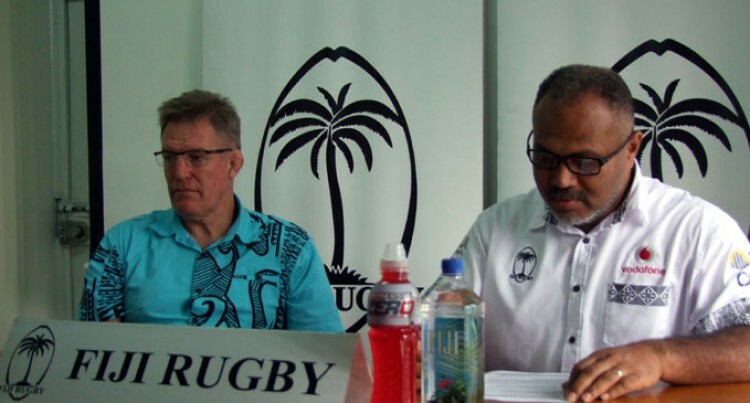 The Fiji Rugby Union chief executive officer said the budget would include preparation,allowance, camps, the Pacific Nations Cup and games against Maori All Blacks, Tonga, Canada and USA. He also mentioned the FRU will also be pleading for support from members of the public. “Costs of sending the team up is $5m,”he said. “And we believe funding is always important therefore the public should expect some programmes from the FRU as we will be conducting some fundraising activities. He said the consortium of sponsors will give their share to assist the campaign. “There is obviously support from our sponsors Vodafone, Fiji Airways, CJP Group and all those are contributing sponsors. Coach John McKee explained even though they would not match what the overseas players are getting, the players have put their hand up to represent their country therefore they will be expected to represent their country with pride. “The players will be here to represent their country, ultimately our goal is to be successful at the RWC. But we will be looking into paying something to the players which is fair,” McKee said. The Vodafone Flying Fijians faces the New Zealand Maori on July 11 and McKee is urging the public to give their support to the team. “This is the first step climbing that mountain and it’s a good opportunity for the public to get out there and support their team. “The players play because they like representing Fiji. That’s why they are here and when the public is out there supporting them it gives them a fantastic lift.